I'm surprised to hear that. 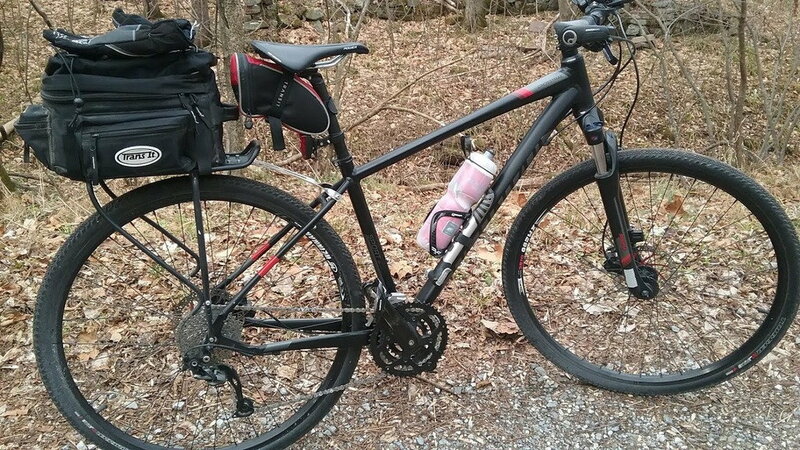 My first disc brakes were mechanical ones on a Giant Sedona that were not so great, but I have had no complaints about the hydraulics on my first-generation 2013 Crosstrail nor the ones on my Felt VR5. What is it about yours that is not right? It sounds like the brake pad friction material may be glazed. You could try new pads. First, I might try taking the brake pads out, scuffing them up on a piece of medium grit abrasive paper (say, 220 grit or so), and then reinstalling them. That would remove any glaze that may be on the surface of the friction material. Where do I put my bike? I have been looking at the Thule bike roof racks and am wondering if anyone as any experience with the Thule 598 ProRide or the Thule UpRide roof racks. I have to tow something so the rear hitch is not an option. Looking for some feedback or experience. One downside is that the brakes are absolutely terrible! This is something I need to look at and will ask the shop to investigate when the service time is due. However, overall it's a lovely bike and is built very well - it feels solid and a high quality product. That stem should be capable of four different heights. Go to your Specialized Dealer, and they will show you how to do it..... and, my Specialized Dealer has a box, fitted with all the different stems which are branded "Specialized" Just open the box, pick one. 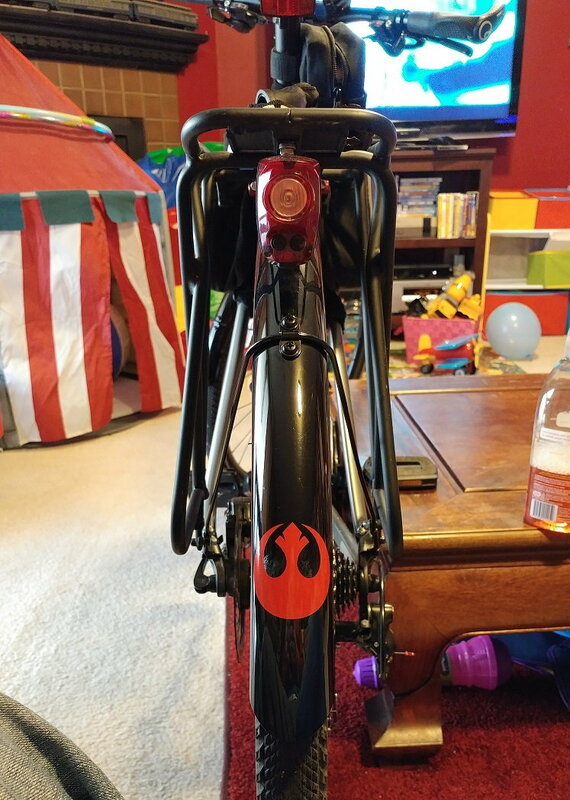 My bike is exactly the same one in your pics (black with red trim?) so thanks for confirming the size. I assumed it was a shimano. I guess the vp brand is pretty rubbish as I've had to service it twice in 6 months? 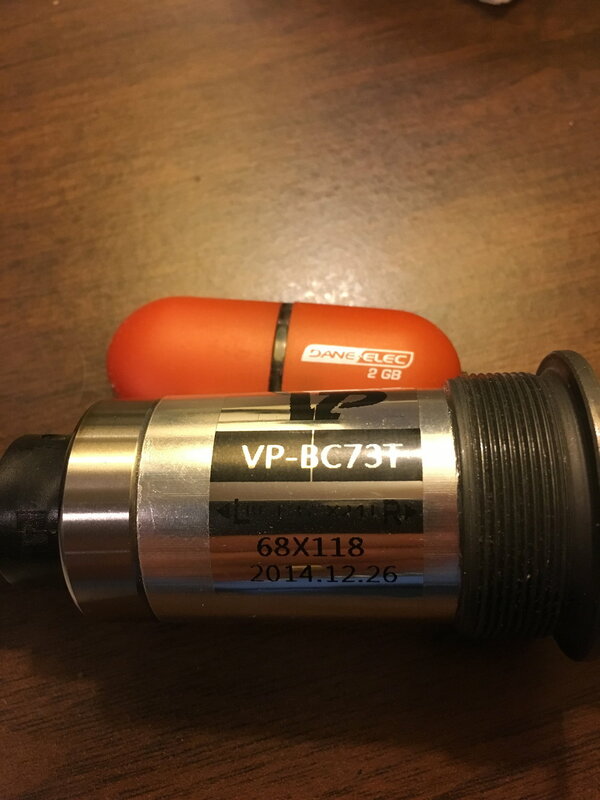 Many users don't have problems with VP, but it seems to me the past few years, there have been several of us that have had to replace the BB. I know for me, I killed it since I was going through streams and lots of mud. So I can't blame the brand as much as the way I rode. I changed it over to the Shimano UN55 for about a year before I bent a chainring and decided to try a little stiffer cranks with an Octalink BB and crank. Does anyone know if my 2017 Crosstrail Disc has a freewheel or a freehub? I'm having a problem with that area and the good people in the mechanics forum are trying to help me. It will have a freehub (with a cassette). 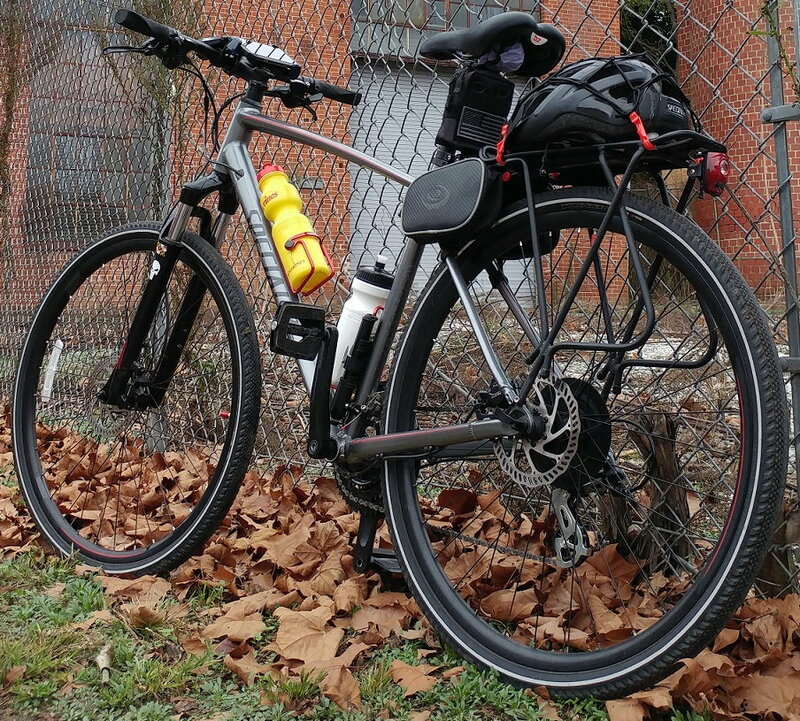 Has anybody installed a rear rack on their CrossTrail? 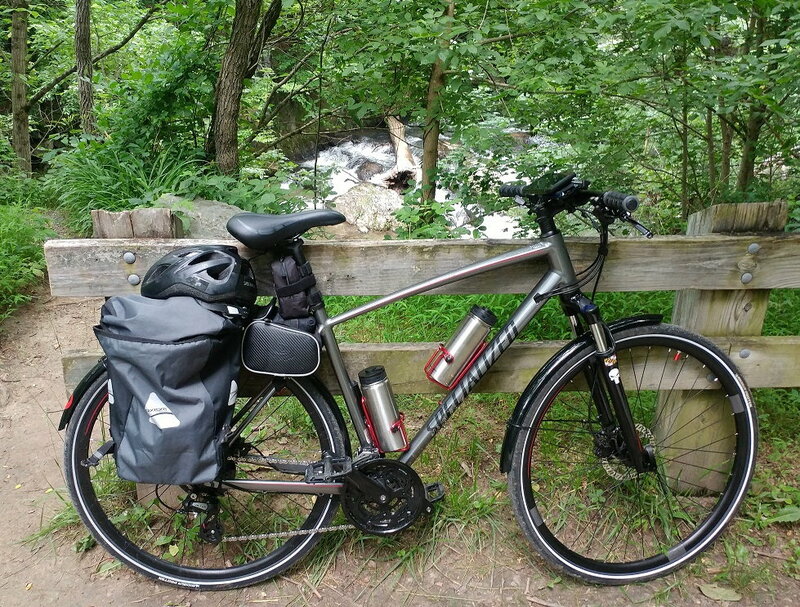 I’m looking to make mine a little more practical and want to fit a rear rack on it, but don’t know which ones would fit. 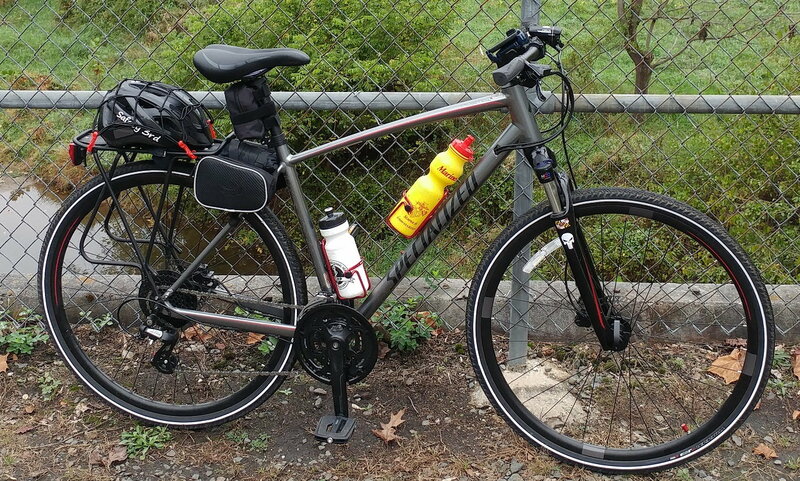 @themp: Okay, so I don’t need to buy the Specialized one, which is good to know. I went with the Axiom Journey rack. I could not be happier with it. When installed correctly it's rock solid, like it's a part of the bike. I did NOT get the one specially made for bikes with disc brakes. The Crosstrail doesn't need it due to the placement of the brake calipers. I did have to stretch the rack about and inch, but no big deal. There are not 2 levels of rails. So it's more difficult to do a trunk bag and panniers. There is one top rail. So depending on your uses, that might be an issue. It hangs panniers very well. The top rails are not parrallel. They are angled to reduce heal strike on the panniers. And that feature works great for my size 12's. Plus the angled rails give it a unique look. +1 on the Transit rack. Put it on when I bought the bike in '13 and it's still serving me well. Useful as a rear fender also. Which specific Topeak Explorer do you have from that page? It seems that there are several derivatives of the Explorer rack so I need to know which one would fit the CrossTrail. The first link has a 'spring' and the second does not.